Multitalented and internationally famous jazz legend, - a composer, arranger, lyricist, producer - and tenor saxophonist of world note, Benny Golson was born in Philadelphia, PA on January 25, 1929. Few jazz musicians can claim to be true innovators and even fewer can boast of a performing and recording career that literally redefines the term jazz. 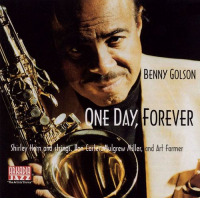 Benny Golson has made major contributions to the world of jazz with such jazz standards as: Killer Joe, I Remember Clifford, Along Came Betty, Stablemates, Whisper Not, Blues March, Five Spot After Dark, Are you Real? 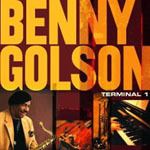 Benny Golson is the only living jazz artist to have written 8 standards for jazz repertoire. 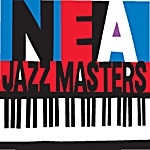 These jazz standards have found their way into countless recordings internationally over the years and are still being recorded. He has recorded over 30 albums for many recording companies in the United States and Europe under his own name and innumerable ones with other major artists. A prodigious writer, Golson has written well over 300 compositions. 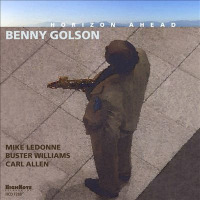 Benny Golson has absolute mastery of the jazz medium. He has not only blazed a trail in the world of jazz but is passionate abuot teaching jazz to young and old alike. He has lectured at the Lincoln Center through a special series by Wynton Marsalis. He has lectured to doctoral candidates at New York University and to the faculty at National University at San Diego. Honored with doctorates from William Paterson College, Wayne, NJ and Berklee School of Music, Boston, MA, Dr. Golson has also conducted workshops and clinics at at various universities throughout the United States. Golson's musical odyssey has taken him around the world. In 1987 he was sent by the US State Department on a cultural tour of Southeast Asia, New Zealand, Indonesia, Malaysia, Burma, Singapore. Later, Philip Morris International sent him on an assignment to Bangkok, Thailand to write music for the Bangkok Symphony Orchestra. 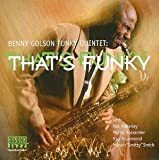 A live performer who consistently knocks audiences off their feet, Benny Golson has given hundreds of performances in USA, Europe, South America, Far East and Japan for decades. All About Jazz musician pages are maintained by musicians, publicists and trusted members like you. Interested? 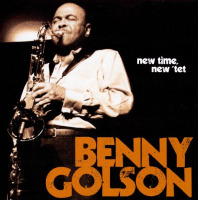 Tell us why you would like to improve the Benny Golson musician page.